The two entities are now fully integrated. 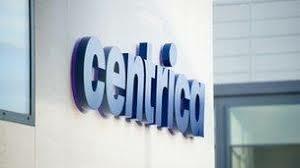 Centrica subsidiary, Neas Energy, is to be known Centrica Energy Trading with effect from February 26 as it becomes "fully integrated" with Centrica Energy Marketing & Trading, the UK utility said February 4. The names are still different to help customers distinguish between the mainly spot and physical-focused Neas Energy and the longer term gas and power trading carried out by the London-based Centrica Energy Marketing & Trading. Centrica bought Neas Energy in 2016 in order to expand and diversify its route to market services in Europe, trading and optimisation activities. Centrica Energy Marketing & Trading boss Cassim Mangerah said the purchase had been a success and the integration of the activities in Energy Marketing & Trading was a "pivotal step in the direction of accelerating our energy marketing and trading growth strategy." Neas Energy has offices in Germany, Denmark and also Singapore, which allows Centrica to trade outside normal UK hours.